What does it take to run the nation’s largest animal control agency? It takes people who are dedicated to our mission of promoting and protecting public safety and animal care. The Department of Animal Care and Control has more than fifty job classifications to accomplish our mission, employing people in areas such as field services, shelter operations, enforcement services, medical services, administration, human resources, information technology services, fiscal services, and volunteer services. Positions allocable to this entry-level class report to a higher-level personnel and receive on-the-job instruction in the care, retention, and maintenance of animals at a County Animal Control Shelter. Incumbents in this class are responsible for ensuring animals receive the proper kind and quantity of food and sufficient water. In addition, a major portion of the duties of this class involve cleaning and maintaining sanitary conditions at the Animal Control Shelter. The more difficult and complex duties and responsibilities are assigned to the next higher class of Animal Care Attendant II. Incumbents are expected to learn the policies and procedures of the Department of Animal Care and Control and any applicable codes and ordinances governing animal care and control, animal identification, recognition of illness, habits and behavior of various animals and the techniques and equipment used in capturing, restraining, receiving, feeding, caring for, grooming and releasing animals. Incumbents also are expected to learn applicable State, County, and City codes and ordinances governing animal care and control. Requires graduation from high school or its equivalent -AND- Six months of paid experience working with the general public or working with domestic animals in a veterinary hospital, clinical setting, or animal services facility. Positions allocable to this class perform a wide variety of routine field work under the supervision of higher-level personnel involving responsibility for responding to incidents and providing animal control services in an unincorporated area or contract city of the County and in accordance with established service agreements. Incumbents typically operate light vehicles while working in the field with a great deal of independence and are expected to utilize a basic knowledge of the policies and procedures of the Department of Animal Care and Control and applicable codes and ordinances governing animal care and control, animal identification, recognition of illness, habits and behavior of various animals and the techniques and equipment used in capturing, restraining, receiving, feeding, caring for, grooming and releasing animals. Incumbents also are expected to enforce State, County and City codes, ordinances, and laws pertaining to animals. Requires six months of paid full time experience at the level of Animal Shelter Aid* or Animal Care Attendant* in an animal regulatory agency or Veterinary Hospital AND successful completion of a department-sponsored training program per California Penal Code Section 832 is required within six (6) months of appointment as a condition of completing probationary status. *Experience at the level of Animal Shelter Aid or Animal Care Attendant refers to training and practical experience in the care of impounded animals; the maintenance and operation of an animal shelter; an enforcement of State, County and City codes and ordinances governing animal control. Performing assigned duties in support for maintaining the various facilities of an animal shelter in a clean, groomed and sanitary condition. They also learn the habits and behavior of various animals, and the methods, procedures, equipment and materials used in receiving, restraining, feeding, caring for, releasing, grooming or dispatching animals. Positions allocable to this class are characterized by their responsibility for independently providing paramedical treatment to animals, providing more complex medical treatment under the direction of a licensed veterinarian, and assisting in the maintenance of animal health care programs within County animal care center/shelter facilities or providing paramedical support for the investigation of zoonotic diseases within the veterinary public health and rabies control unit. Incumbents must exercise a knowledge of animal behavior and anatomy, techniques of administrating medications and treatments to animals, general surgical procedures and equipment used in animal health clinics, inventorying and maintaining pharmaceutical supplies and equipment and principles of disease control. They must also have the ability to handle and care for animals in a humane manner. Requires a valid Registered Veterinary Technician Certificate issued by the California State Board of Examiners in Veterinary Medicine. A valid California Class C Driver License or the ability to utilize an alternative method of transportation when needed to carry out job-related essential functions. Positions allocable to this class receive general direction from a Senior Veterinarian and are assigned to Public Health Services or Animal Care and Control. Incumbents perform professional veterinary medical work in the investigation, prevention, control and eradication of infectious diseases of animals including those transmissible to man or the examination, diagnosis, emergency treatment of animals at animal care centers/shelter. Some positions have responsibility for the operation of a spay/neuter clinic, including supervision of technical and support staff. Incumbents must exercise a knowledge of current, advanced or specialized veterinary medical arts and science principles and practices of the profession and have the ability to apply that knowledge in the programs established by their assigned department. Requires graduation from an approved veterinary school with a Doctorate degree in veterinary medicine. Positions allocable to this class work under the general supervision of higher-level personnel, operating light vehicles and providing animal control services in an unincorporated area or contract city of the County and in accordance with established service agreements, inspecting pet shops, licensed kennels, grooming parlors, animal menageries, animal exhibitions and wholesale wild animal dealers; and explaining relevant laws and issuing warnings or citations for violations of animal control laws. Incumbents utilize a knowledge of applicable codes and ordinances governing animal care and control and departmental policies and procedures; animal identification, illnesses, habits and behaviors; and the techniques and equipment used in capturing and restraining, receiving, feeding, caring for, grooming and releasing animals. Requires six months of paid experience at the level of Animal Control Officer I for an animal control regulatory agency. Possession of certification indicating successful completion of training program per California Penal Code Section 832. Positions allocable to this class serve as a lead Animal Control Officer, under the technical direction and administrative supervision of higher-level personnel, and handle the more difficult and complex assignments of animal control. Incumbents may rotate between the first and second shifts and assume charge of the Animal Care Center/Shelter in the absence of higher-level personnel. Positions in this class must utilize a thorough knowledge of State laws, County ordinances and means of their enforcement; and departmental procedures regarding the impoundment, treatment and sheltering of domestic and wild animals; the placement of stray or abandoned animals; and courtroom and hearing procedures. Requires three years of paid experience at the level of Animal Control Officer I for an animal control/regulatory agency. Possession of certification indicating successful completion of training program per California Penal Code Section 832. Positions allocable to this class serve as assistant to the Animal Control Manager and assume charge of the shelter in the absence of the manager. Incumbents must utilize a knowledge of the principles of supervision; a thorough knowledge of animal diseases, sanitation, care and treatment; State laws, County ordinances, city codes and ordinances, and their enforcement; departmental procedures regarding the impoundment, treatment and sheltering of domestic and wild animals; the placement of stray or abandoned animals; and courtroom and hearing procedures. Requires four years of paid experience enforcing animal care and control laws, including the investigation of violations and court prosecution for an animal control/regulatory agency. One year of the experience must have been at the level of Animal Control Officer III for an animal control/regulatory agency – AND – Possession of certification indicating successful completion of training program per California Penal Code Section 832. Positions allocable to this class receive administrative direction from a Deputy Director and are responsible for the operations of an animal shelter in an assigned geographical area or for providing management services and administrative coordination for a comprehensive Countywide animal care and control program that has significant impact to the Department such as Revenue Services or Animal Rescue/Field Services. Positions in this class have responsibility for animal shelter operations or a comprehensive Countywide program on a 24-hour, seven days-a-week basis and provide administrative and technical supervision to staff engaged in field patrol services, enforcement of animal license and vaccination services, kennel operations and shelter office work. These positions also perform budgetary, operational, and personnel management functions in order to effectively utilize the financial, material, and human resources allocated to assigned animal shelter or a comprehensive Countywide program. Positions in this class must work effectively with members of the public, animal welfare groups, community groups and city officials, and must exercise a knowledge of State laws, County ordinances, courtroom and hearing practices, and Departmental procedures pertinent to the impoundment, treatment and sheltering of domestic and wild animals, and placement of stray or abandoned animals. 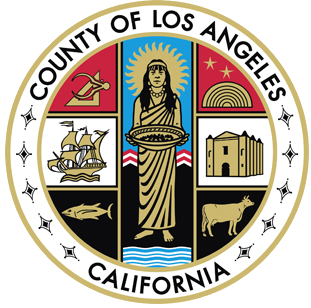 Requires four (4) years of paid experience providing technical supervision in the operation of an animal center or a comprehensive Countywide program at the level of Animal Control Officer IV including responsibility for investigation of violations of animal care and control regulations and court prosecution.